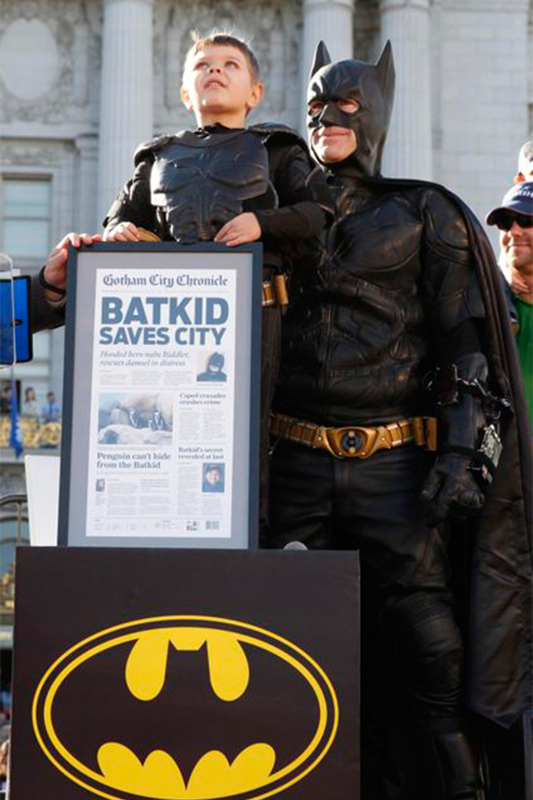 Batkid Begins is a documentary by filmmaker Dana Nachman of KTF Films, sponsored by Moving Train, Inc., that explores and celebrates Miles Scott (aka “BatKid“) and his Make-A-Wish Foundation adventures throughout San Francisco. Since his days of fighting crime, the tough little dude won his three-year battle with leukemia and is now entering first grade. Moving Train, Inc. is currently raising funds via an Indiegogo crowdfunding campaign to help with production costs of the documentary. 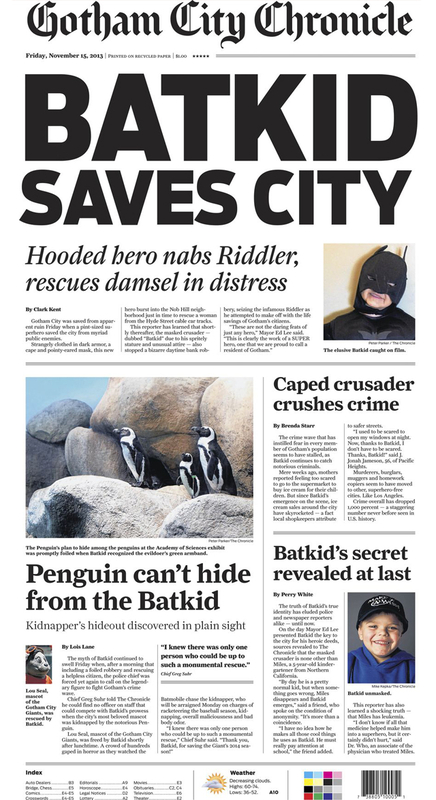 Batkid Begins follows the events leading up to the day Batkid saved San Francisco and what happens when an event goes unintentionally viral. 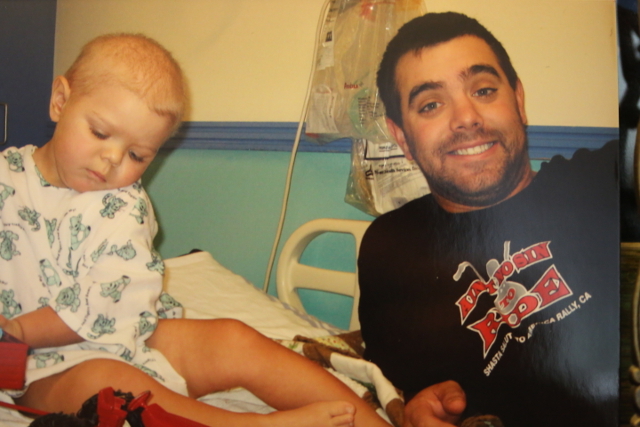 The goal that day was to get a couple hundred people to show up to support Miles Scott and his wish to become Batkid, after battling leukemia for more than half his short life. The thought was a crowd of 200 would seem huge to a five year old boy, but what happened next blew everyone’s minds. Support for the idea of granting Miles’s wish kept pouring in and soon it was clear that the crowd would be much bigger than the modest expectations. Instead of a few hundred, 25,000 people lined the streets to cheer Miles on as he saved Gotham. The superhero spirit spilled onto the Internet as news of Batkid’s heroics reached over 2 billion people, touching hearts around the world. Batkid was impossible to miss that day as we were glued to our computers, phones, and in San Francisco, our office windows trying to be a part of the celebration.